Dogs, just like us, are exposed to unwanted infections. 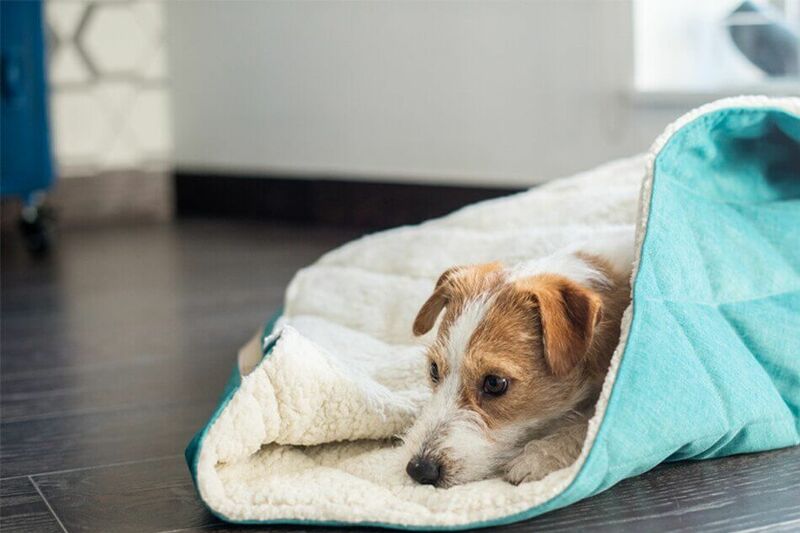 Providing your dog with adequate support for his immune system will help him to avoid catching a cold or getting a flu. Antiviral protection is definitely easier than fighting an illness. Winter is not only about fluffy snow, and white houses. It is also the time of year during which we are more vulnerable to a wide variety of illnesses. The flu seems to spread around, catching not only us, but also our four-legged friends by surprise. In order to protect ourselves against infection, therefore, we must take care of our immunity by following a proper diet and taking vitamins. Let’s not forget about our dogs, however. Dogs’ immunity often needs additional support during the cold winter months as well. You can protect your dog from getting sick with supplements, medical devices and a slightly changed diet. In the interest of your dog, we will present the most effective methods to strengthen his resistance to illness. Helping your dog to fight a cold is neither easy nor pleasant. Therefore, it is wise to spend time protecting your dog’s body against infection. If you want to reduce the risk of him getting ill, focus on supporting his immune system. For this purpose, it is worth getting to know a few different methods. The biggest source of fat in a dog’s diet is meat. Enriching your dog’s daily diet with a larger portion of meat will surely please his appetite. Beef is an excellent source of fats. Vegetable fats can also be useful. To increase your dog’s immunity, you can add a tablespoon of linseed oil or olive oil to his food bowl. In adult dogs the need for fat ranges from 10% to 20% of the daily menu. Remember, however, that if you give your dog more fat than the recommended daily dose over a long period of time it could lead to obesity. An excellent support for your dog’s immune system is to enrich his diet with vitamins. Fruits and vegetables are rich in essential nutrients. They help provide your dog with vitamin C, which can be found in strawberries, apples, currants, blueberries and broccoli. You must remember to be careful how many fruits and vegetables you give your dog, however, because his digestive system will not be able to tolerate these foods in excessive amounts. It will also depend on the preferences of your pup. The taste of some fruits or vegetables may be unappetizing for your dog. Do not be afraid to experiment. The range of fruits and vegetables accepted by dogs’ stomachs is large, and for that reason, it shouldn’t be hard to find some foods that suit your pet’s taste. Dietary fibres are a form of carbohydrate that are not digested by the food enzymes that dogs possess. Why then are they important for a dog’s health? Ingesting the proper amount of fibre has a positive effect on the stability of the intestinal flora within your dog’s digestive system. This fibre increases your dog’s resistance to infection and reduces his susceptibility to disease. Beet and apple pulp, bran and porridge are all excellent sources of dietary fibre. This type of carbohydrate should account for about 2% of your dog’s daily diet. If, despite a properly constructed diet, your pet still needs support for his immune system, you can give him supplements. These will strengthen your dog’s immunity and enhance his ability to fight infection. Supplements supporting canine immunity should be rich in beta glucan that supports the immune system, neutralizes free radicals and has anti-cancer properties. In turn, Omega 6 supports your dog’s body by protecting it against inflammation and infection. The right dose of daily physical activity for your dog, even in unpleasant weather, is a great way to stimulate dog’s immune system. 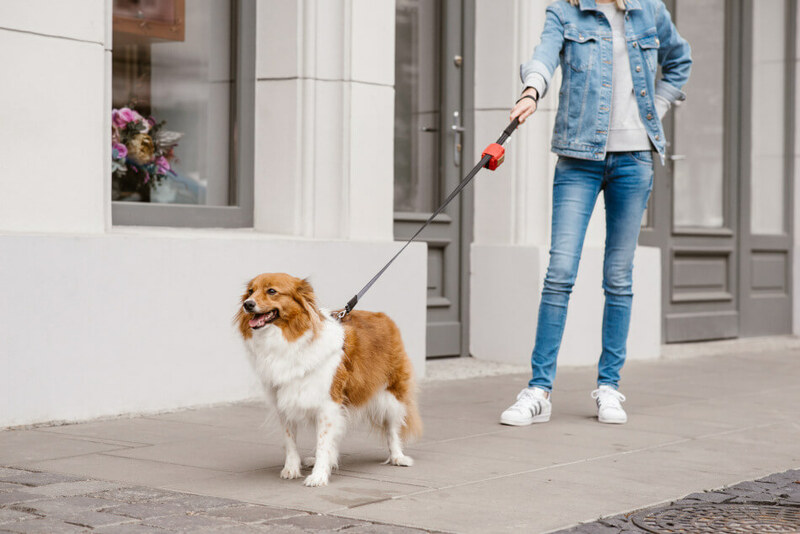 During walks, your dog comes into contact with various micro-organisms, which helps his body to become familiar with, and resistant to, illness. It is impossible to completely isolate a dog from germs, so you should not overly restrict your dog’s contact with viruses. If you don’t expose your dog to micro-organisms, it is likely that his body will be more vulnerable to infection. Unpleasant weather should not limit the amount of time that you spend with your dog in the open air. 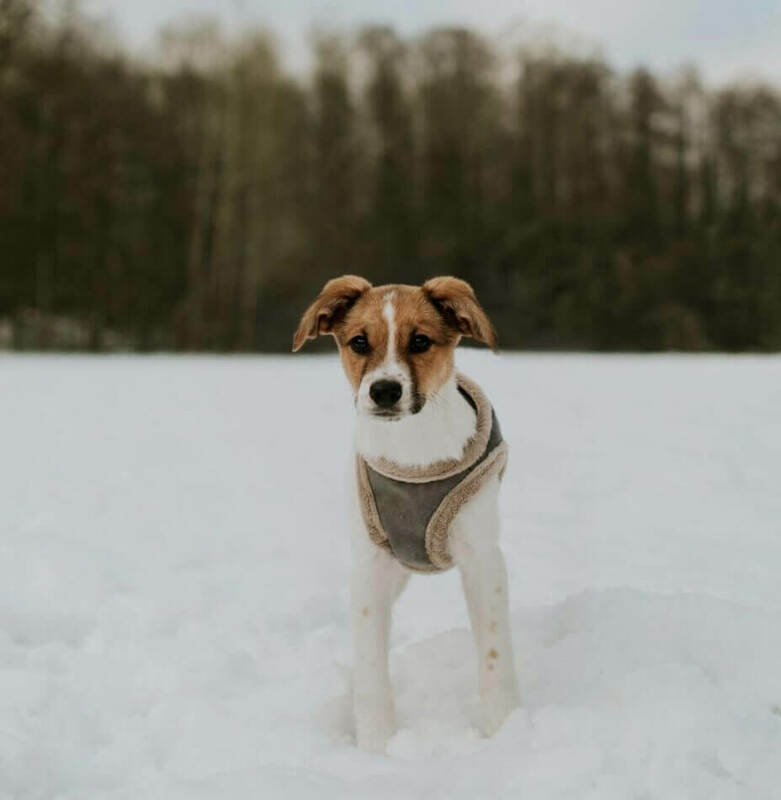 To protect your dog from the cold, you can use jackets, sweatshirts or sweaters designed for dogs. Another excellent solution is the insulated YETI dog harness, made by Bowl&Bone Republic. This product is an excellent harness in and of itself, but also protects your dog against low temperatures. You should introduce your dog to low temperatures in small amounts. That being said, because dogs adjust slowly to lower temperatures their bodies actually tolerate cold much better, and walking in the cold will not be unpleasant for them in the long term. When helping to acclimatize your dog to the cold, do not overheat your home. The optimum air temperature for your home should be 20 ° C maximum. 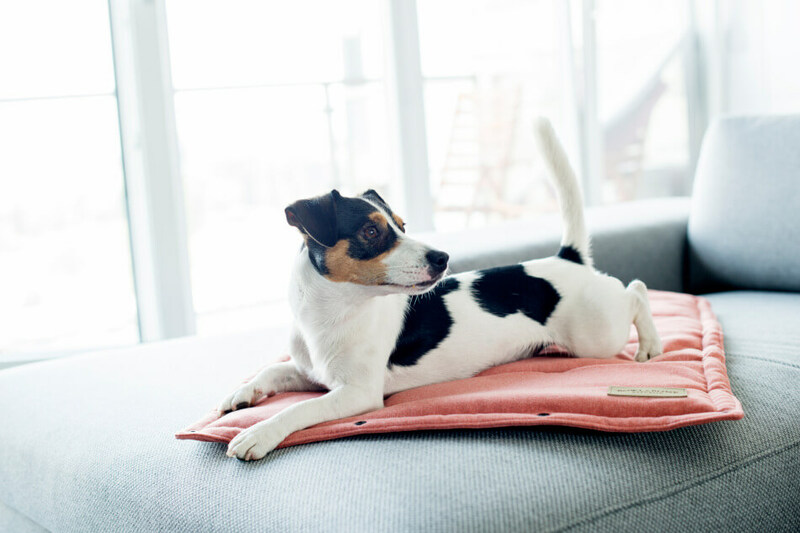 This way, your dog will feel comfortable and pleasant, and his body will not overheat. To support the dog’s immune system, you can also use vaccinations. Properly selected vaccinations help protect your dog’s body against infections. Vaccinations allow your dog to largely avoid illness. If you choose to vaccinate your dog, you should make sure to carefully arrange this with a veterinarian. 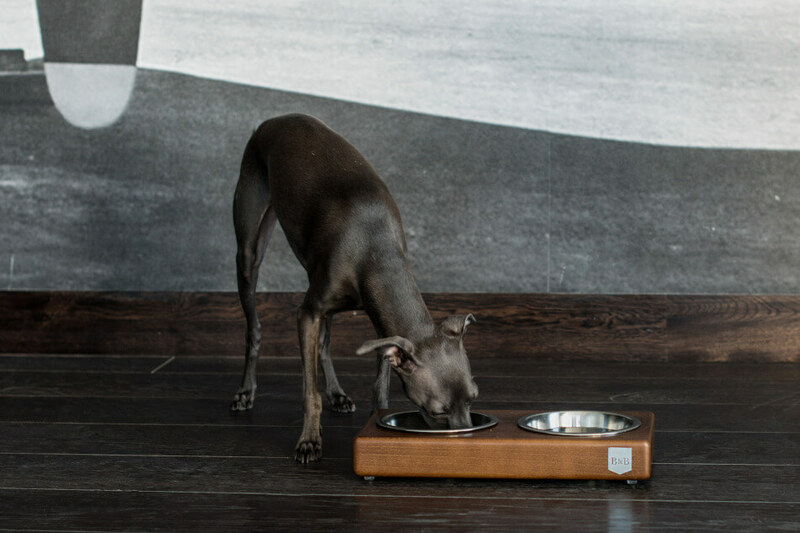 If possible, it is better for the health of your pooch that your support his immune system by means such as a proper diet, rich in vitamins and minerals. The autumn-winter period is a time of increased disease. During this time, it is easy to get a cold or infection. There is also a risk of getting sick in the summer, however. Experiencing frequent temperature differences between air-conditioned rooms and the hot weather outside is a very quick way to catch an infection. For this reason, even when the summer is beautiful, sunny and warm, you should not forget to look after the immunity of your pet. For the health of your pooch, preventing illness is much more beneficial than fighting it. Whenever your dog is sick, it requires a significant amount of energy from his body. Supporting your dog’s immune system, therefore, is an investment in his future health, strength and vitality.